didn't. So the rich got richer, and the poor stayed poor. 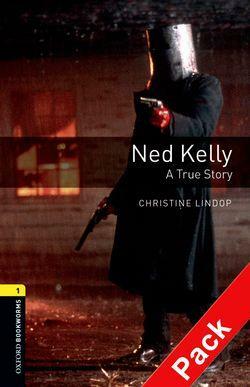 Some say Ned Kelly was a bad man. Some say he was a good man but the law was bad. This is the true story of Australia's most famous outlaw. When he was a boy, he was poor and hungry. When he was a young man, he was still poor and still hungry. He learnt how to steal horses, he learnt how to fight, he learnt how to live - outside the law. Australia in the 1870s was a hard, wild place. Rich people had land, poor people didn't. So the rich got richer, and the poor stayed poor. Some say Ned Kelly was a bad man. Some say he was a good man but the law was bad. This is the true story of Australia's most famous outlaw.